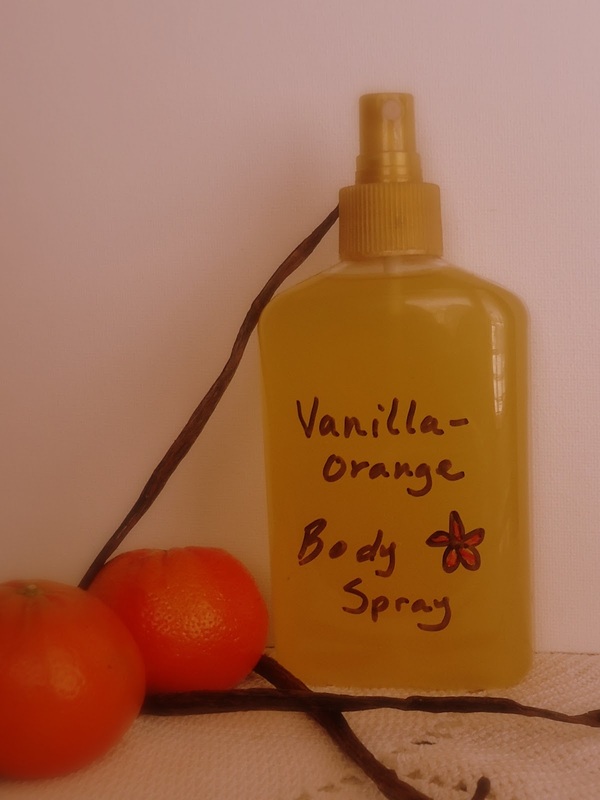 This homemade body spray recipe is both simple to make and inexpensive. All you need are four ingredients and a little time. You will want to begin by eating some oranges. In fact, make your whole family eat an orange, because you need some peels! 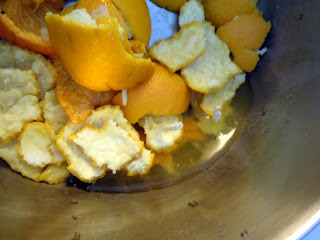 The peels will go into a pot with just enough water to barely cover them. Be careful not to use too much water, or your orange fragrance will be too dilute. Bring the water to a boil, and then immediately cover the pot with its lid and remove from heat. Allow the pot to sit for 12 to 24 hours. When you take the lid off the next day, you will see that a lot of the liquid is gone. If you dip your finger into the liquid, you may notice that it feels somewhat oily. That's good! It's orange oil, extracted from your peels. To get the most oil out of your peels, you'll want to squeeze the crap out of them. 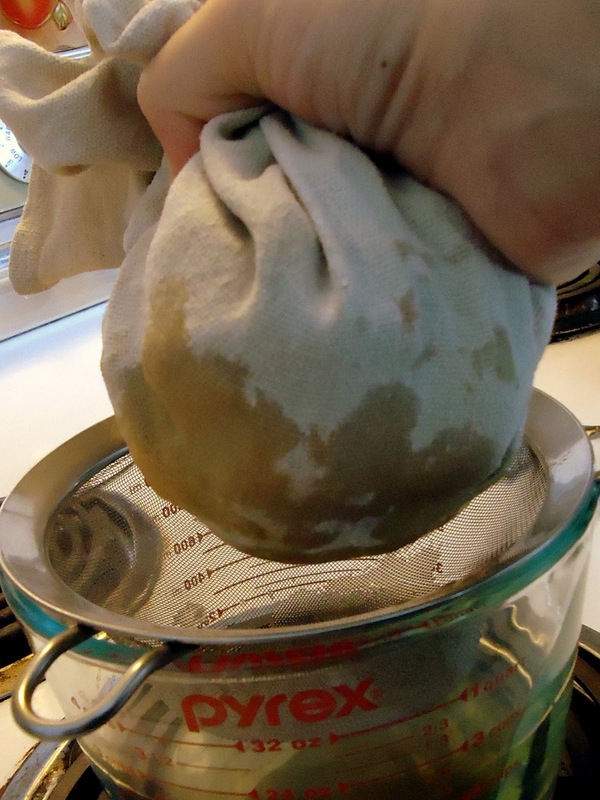 Pour the liquid and peels into a cotton tea towel or jelly bag that you have suspended over a large bowl to catch the liquid. Gather the towel around the peels, and twist it shut tightly. Squeeze the peels inside to get as much liquid out as possible. 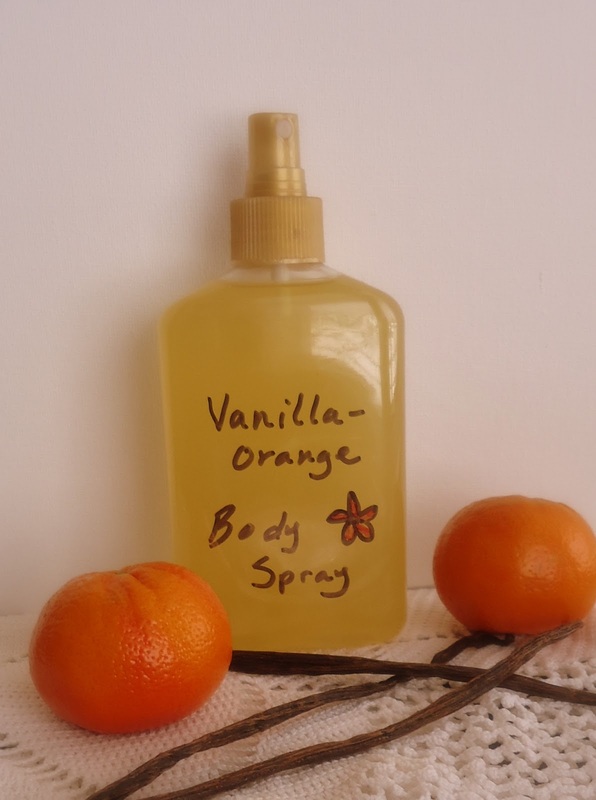 Now that you've got your orange peel decoction made, you can start putting together your body spray. Be sure you have a spray bottle handy that will hold around 1 1/2 cups of liquid. 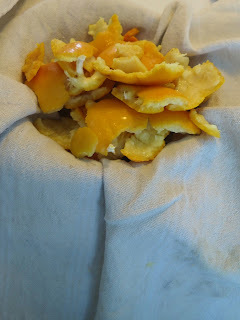 You will need 1/4 cup of your orange peel decoction. If you have some extra leftover, you can freeze it to use at a later time. To your orange decoction, add 1 cup of filtered water and one tablespoon of vanilla extract. If you'd like instructions for making your own extract, click here. Then, you will add one tablespoon of vinegar (preferably orange infused). Vinegar is a nice addition to skin products because it will neutralize the alkalinity caused by washing with soap, correcting the pH value of the skin. Don't worry, the orange and vanilla smell will overpower the vinegar, so you won't even know it's in there. Mix well, pour it into your spray bottle, and you're done! You can spritz this body spray all over after showering to tone your skin and provide a light fragrance. 1. Begin by making an orange peel decoction. Place peels in a large pot. Add water just to cover. 2. Heat on high until the water begins to boil. Cover and remove from heat. Allow to stand for 12 to 24 hours. 3. Pour liquid and peels through a tea towel or jelly bag over a bowl to capture the liquid. Squeeze the peels well to extract as much liquid as possible. 4. 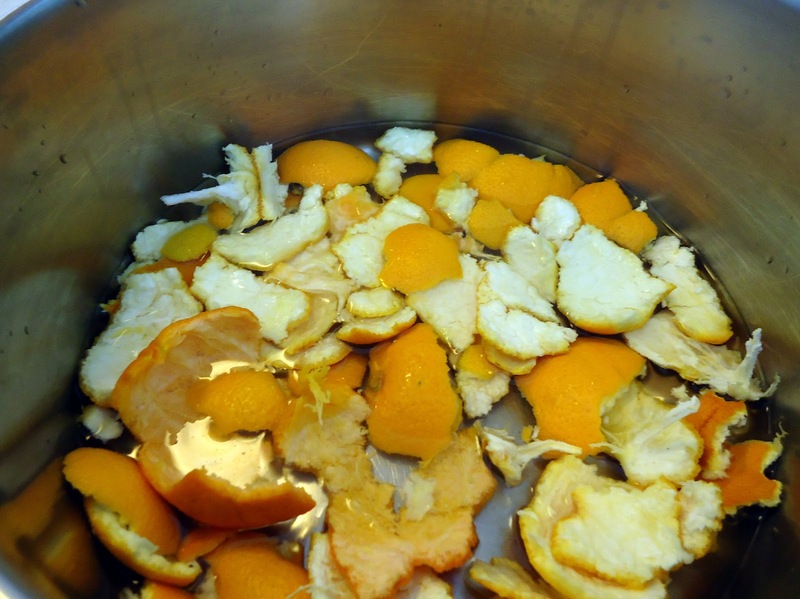 Combine 1/4 cup of the orange peel decoction with the 1 cup water, vanilla extract, and vinegar. Pour into spray bottle for use. I have been wearing this outside, and haven't had any adverse reaction to it. I think the orange oil is so diluted it is not an issue. Let me know how it goes for you though! I tried this and it was great. I also added 1 TB orange extract to make it stronger...thanks so much. Body Spray that Smells so fresh, projects well, lasts long and draws compliments.